PHS/SPCA occasionally takes animals and adoptions on the road. A group of volunteers and staff take adoptable dogs, cats, and small animals to locations throughout San Mateo County. All dogs are on-leash while cats and small animals are secured in kennels. Adoptions can be done on the spot, and in most cases you are able to bring the animal home that day. Although we are showcasing our animals in hopes of finding permanent homes for them, we are also there to answer questions about PHS/SPCA services and other animal related questions. Please feel more than welcome to stop by and say hello! We also participate in local special events, including city festivals and parades. 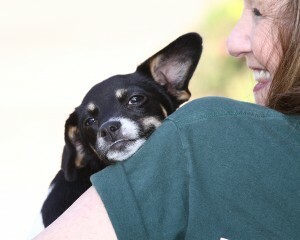 For more information about getting our mobile adoptions team at your location, contact Dan Hanley at 650-340-7022 ext. 330 or at dhanley@phs-spca.org.